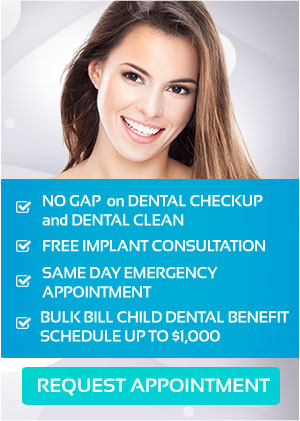 Dental crowns are a restorative dental treatment. The crown, which is like a cap, encases the whole visible portion of the tooth to improve and reinforce its strength, size and appearance. 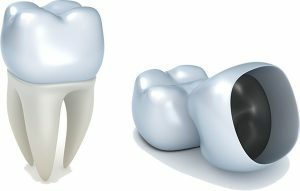 Dental crowns can be made of a ceramic or metal base covered with a small layer of ceramic. For the back teeth, a dental crown may be made of gold. The procedure for placing a dental crown requires only two appointments. The first appointment is dedicated to the preparation of the tooth, and the second visit is for the fitting of the permanent crown. The tooth is reshaped and the dentist takes an impression to create the crown. Your dentist uses a special material to create an impression of the tooth. The impression is sent to the lab and made into a permanent dental crown. Your dentist will provide you a temporary crown to protect your tooth while your permanent dental crown is being fabricated. Your permanent dental crown is ready for fitting. The dentist detaches the temporary crown. The new crown is fitted and your dentist will ensure that it fits precisely and that you are satisfied with the appearance. The crown is cemented permanently in place with the use of a special dental bonding agent. Do you want to restore the strength and appearance of your teeth with our dental crowns? Visit your dentist at United Smiles today. We provide Australian restorations from leading brands to ensure the quality, effectiveness and longevity of the treatment. Restore your smile and confidence with our premium quality dental crowns in Mernda.